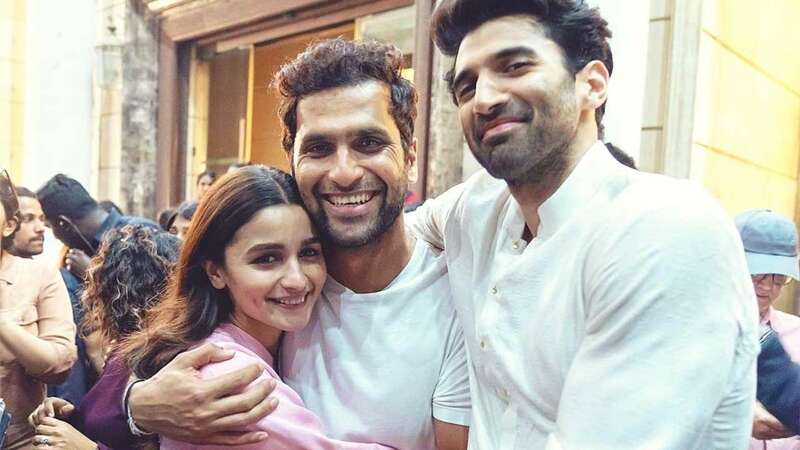 Jan 20 (AZINS) Alia Bhatt took to her Instagram page and shared a picture of Abhishek Varman and Aditya Roy Kapur following the wrap up of her period drama 'Kalank'. This is the second time that Alia Bhatt is teaming up with director Abhishek Varman after working with him in 2 States in 2014. In the photo, Alia, Abhishek, and Aditya can be seen all smiles for the camera as they hug each other. Taking to Instagram, Alia captioned the photo, "KALANK has wrapped but the heart is still wide open!! For those who understand it and for those who don't.. when you wrap a film it feels like a part of you just combusts.. especially when you?ve worked with your friends and family.. Crossing our fingers and toes for the journey ahead.. Cant wait for you guys to see the visuals.. "
The 'Brahmastra' star had earlier taken to Instagram to post a heartfelt message for Varun Dhawan following the wrap-up of 'Kalank' as well. She wrote, "& it's a film wrap for Varun on KALANK.. Our 4th film completed together and he still manages to surprise me with his hard work and crazy energy everyday.. Also manages to make me laugh like a crazy person by just being himself.. I can't can't can't wait for you guys to see the stuff he's done with his character in the film!!!!"